I first learned Focusing in 1990, when I needed support during a time of change in my life. I was invited to join a small practice group of Focusers, which developed a deepening into the practice over many years. Focusing has given me huge personal support by giving me a practical and specific way to deal with problems and issues as they arise. I have access to my emotions in a safe way that does not overwhelm me, and I do not need to deny them. Over time, problems and difficulties have dissolved. I have more self-confidence, and can more easily speak my mind. What inspires me is the enormous respect Focusing develops in people, for themselves and for others. Witnessing what happens when someone Focuses with the support of a good listener can be wonderful and extraordinary. I have had the good fortune to train with world-class Focusing teachers, and what I have learned from each of them informs my practice. I have extensive background in supporting personal development, in myself and in others. I lived at the Findhorn Foundation, a spiritual community for 5 years. I have travelled teaching dance and meditation in Australia and other places. 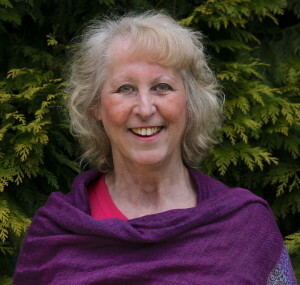 I am also a therapeutic counsellor and I integrate Focusing into my work as a therapist. 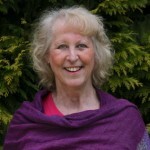 I run regular workshops and trainings, Focusing Practitioner and Teacher training programmes.